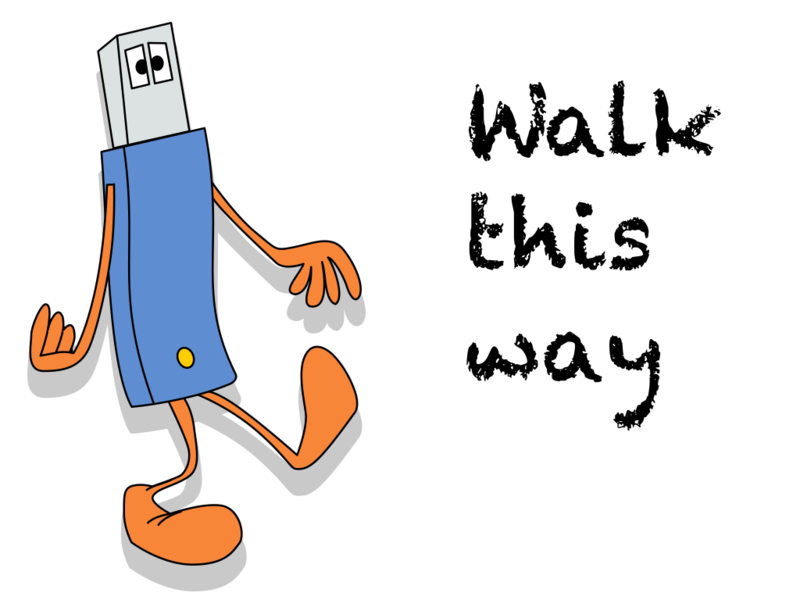 Cartoon USB thumb drive walks away. Could be used to introduce issues of security or loss regarding portable drives or the data contained on them. Cartoon has transparent background.